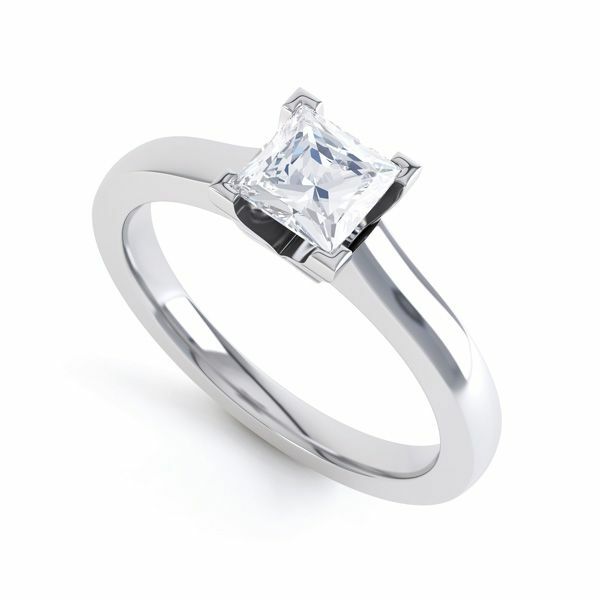 A 0.46ct Princess cut Diamond is embraced in the 4 right angled claws of this classical design. 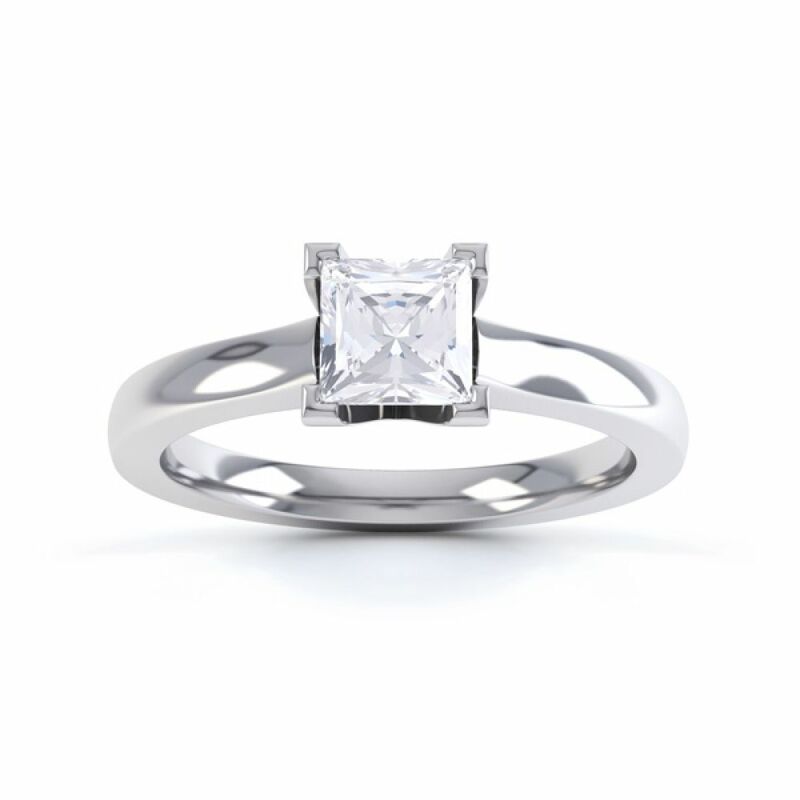 With a low setting height, this will delicately protect it from everyday wear in a secure, yet effortlessly timeless ring. The Diamond has been graded F Colour and VS2 Clarity. It has been created in 950 Platinum, and is available in a finger size O. The measurements of this particular princess cut Diamond are the same as a 0.50ct, but without the price tag. Available for immediate dispatch, your Engagement Ring will be professionally wrapped in our bespoke packaging and will be delivered by a secure courier to your door. At Serendipity Diamonds, we work with trusted diamond laboratories. Furthermore, we work to very high standards for all of our certified diamonds. Expect trusted diamond grading reports from laboratories including GIA and IGI along with a minimum cut grade of 'VERY GOOD.' In addition, diamonds exhibit no greater than slight fluorescence. All engagement rings shipped to Australia, arrive securely boxed by FEDEX delivery. We ship daily across Australia to clients in most regions including Adelaide, Brisbane, Canberra, Darwin, Hobart, Melbourne, Perth and Sydney. All items arrive in a secure outer wrapper with solid inner box revealing all documentation, the presentation box with engagement ring and pocket box. Clients in Australia benefit from 100% secure, fully insured shipping which takes around 2 days from when we despatch your item. Use our handy interactive tool below to understand how large your chosen carat weight appears on the finger. Our interactive tool allows you to select your diamond shape and carat weight, along with skin tone for a better idea of your diamond size. Follow the button below to order your free UK ring sizer shipped immediately to Australia. For international clients this is particularly useful before ordering your ring. Once you have received your sizer, order online in your local currency (AUD) with all duty and taxes included before payment is made. 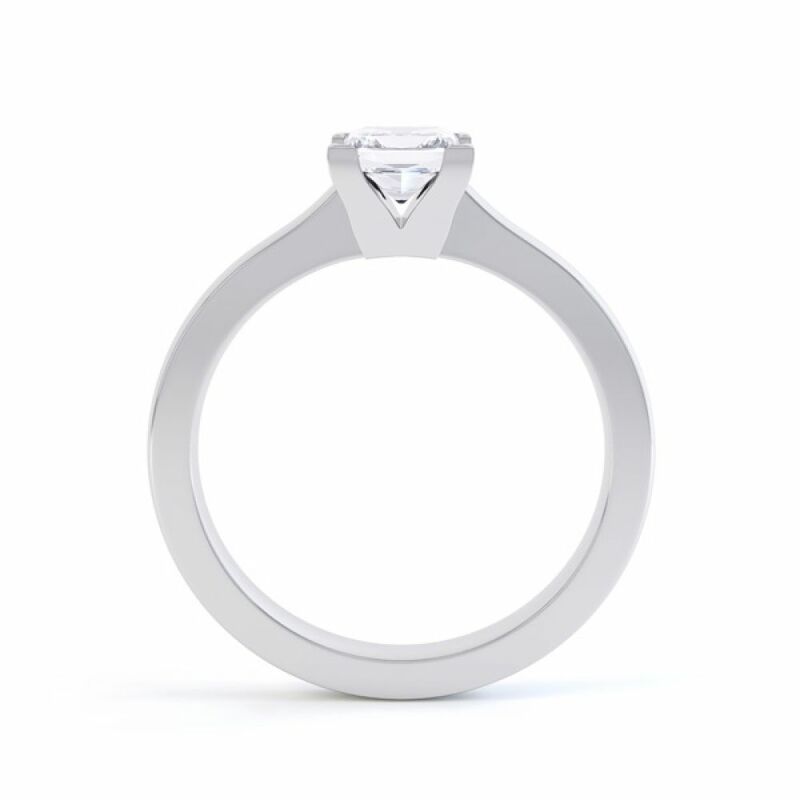 Please contact us for help on any of our diamond engagement rings or talk to us about bespoke engagement rings. Since we're not always open during Australian daylight hours, feel free to fire across an email or message via our online system. We'd be really glad to help offer any guidance you might need. Above photographs show how a typical engagement ring is delivered. Beautifully boxed. Lift out the upper section to reveal the document folder and items within a wooden inner tray. Accompanied by the proposal pocket box. With friendly expert guidance, the Serendipity Diamonds team are on hand to help before or after your purchase. We are affiliated with the Gemmological Institute of Australia and work to a strict code of conducts. All purchases are backed by a lifetime warranty and most items are delivered with 60 days returns for your total reassurance. In addition, we only work with 100% natural, conflict-free diamonds, blue sapphires, pink sapphires, emeralds and rubies for our diamond engagement rings, sourced responsibly from across the world. One of the questions we are asked frequently relates to the cut grade of our diamonds. Australian clients are particularly interested in purchasing a beautifully cut diamond. For this reason, we set our minimum cut grade standard at "VERY GOOD" to ensure maximum brilliance, fire and scintillation. Where applicable this cut grade will be evident on accompanying certification alongside other details including carat weight, colour and clarity. For certification, we favour GIA amongst some of the World's most respected diamond grading laboratories.